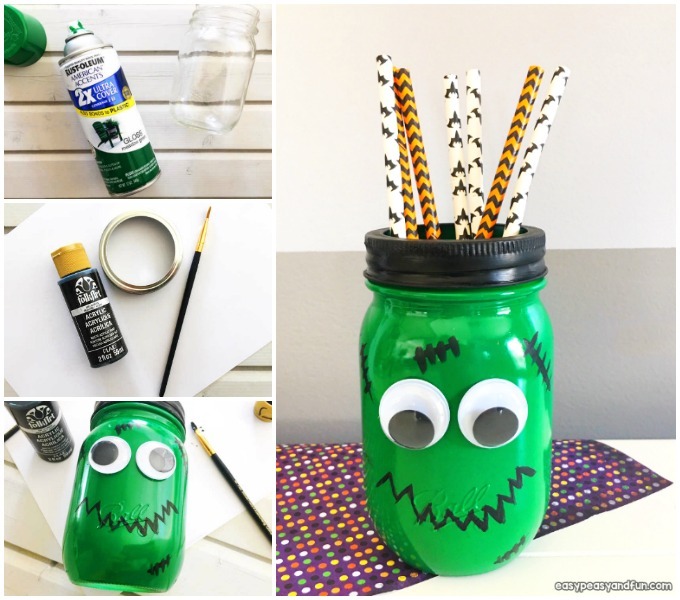 Have a bucnh of mason jars that you want to transform into something cool? 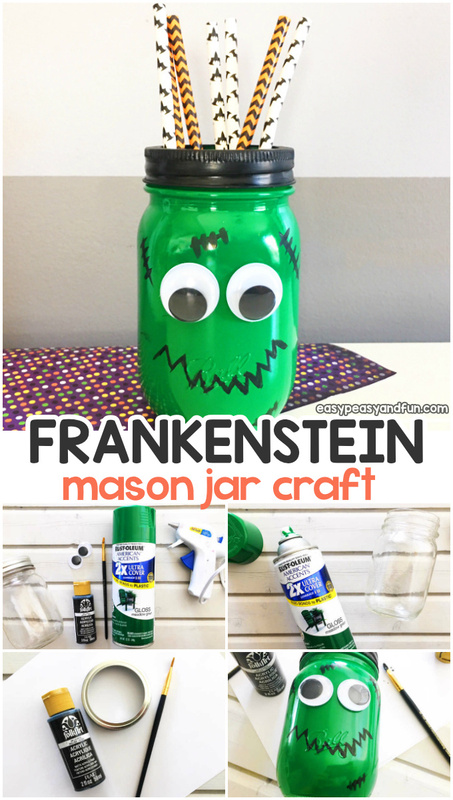 This Frankenstein mason jar craft is a cool project to make for Halloween. 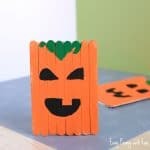 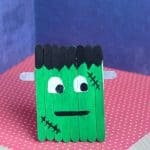 Browse more of our Halloween crafts for kids. 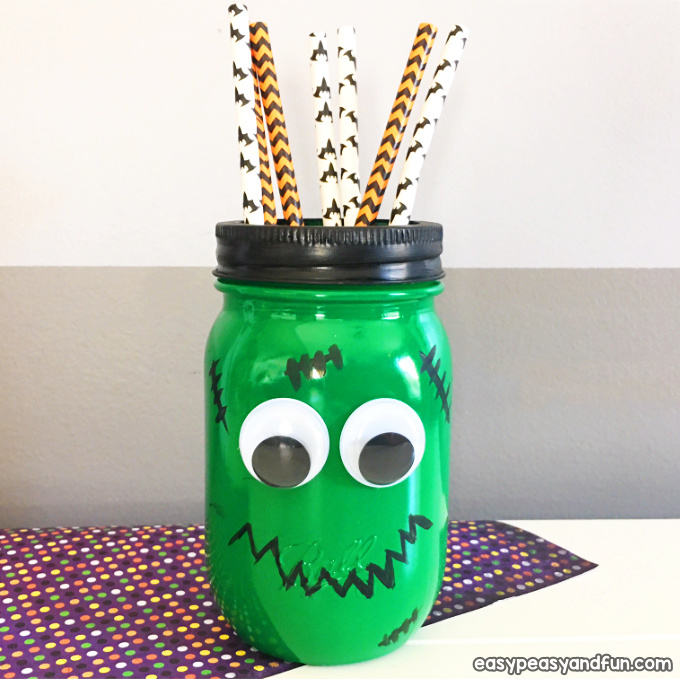 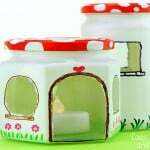 Mason jar crafts are great for kids and grown ups to make! 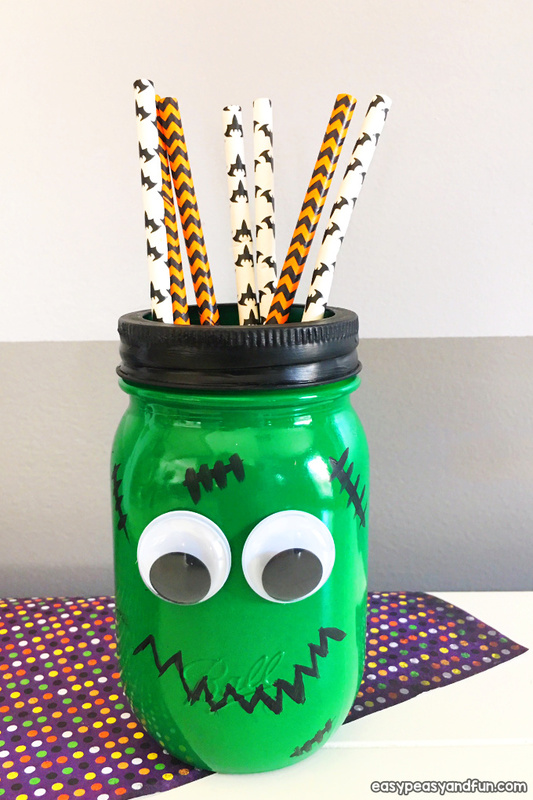 There are many cool characters you can do and as Halloween approaches we decided to share this fun Frankenstein’s monster jar idea. 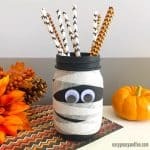 This one shouldn’t fly solo though, pair it up with this spooky mummy mason jar craft, together they will make a wonderful monster duo. 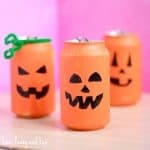 Lay out a couple pieces of old newspaper before you get started, as things can get a bit messy. 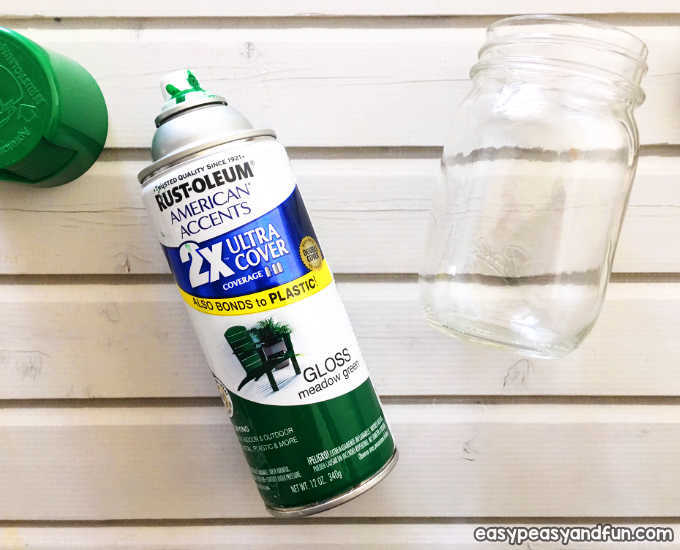 In a well ventilated area, spray paint your mason jar green and let dry for several hours or overnight. 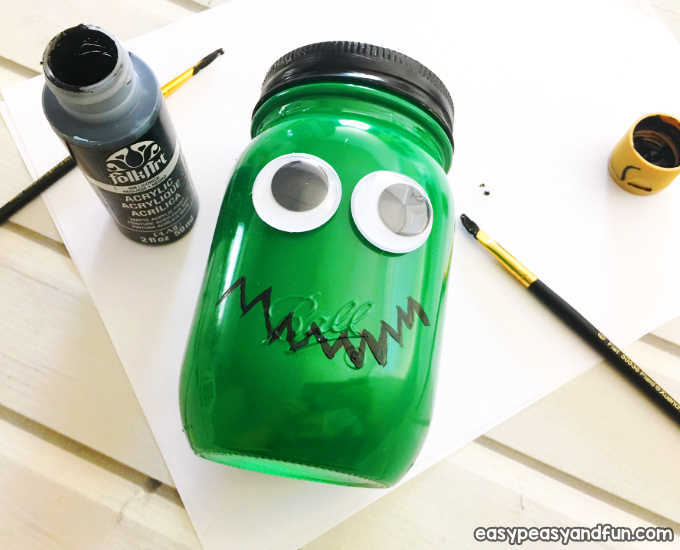 If younger kids are making this project, acrylic paints are a better fit – but you might need to make more than one coat of paint to get the desired look. 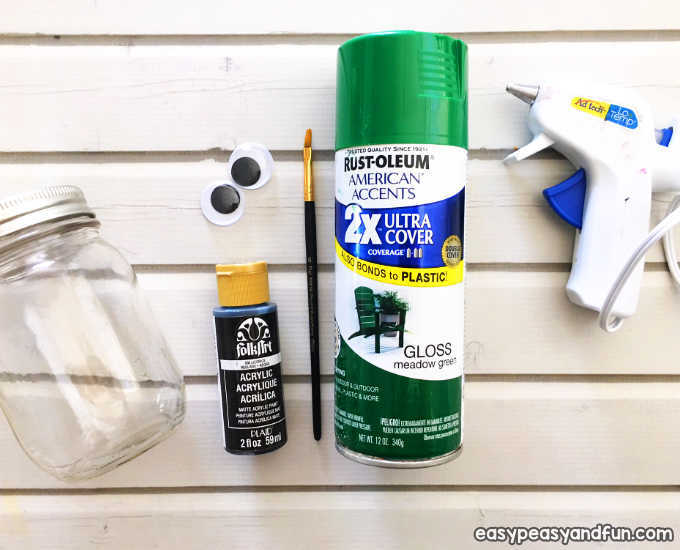 Paint your Mason jar lid ring black and let dry. 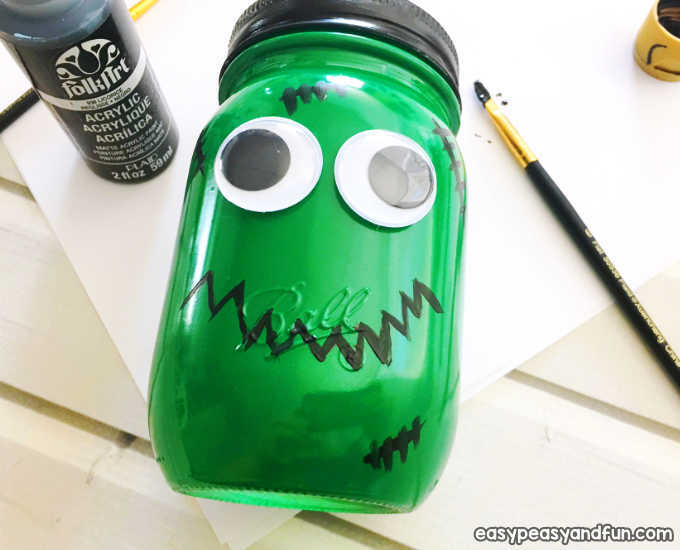 Screw your black lid ring back onto the green jar and glue 2 googly eyes onto the front of the jar towards the top. 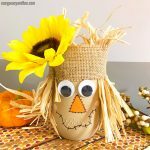 Use a black sharpie to draw a zigzag mouth below the eyes and several stitches around the face. 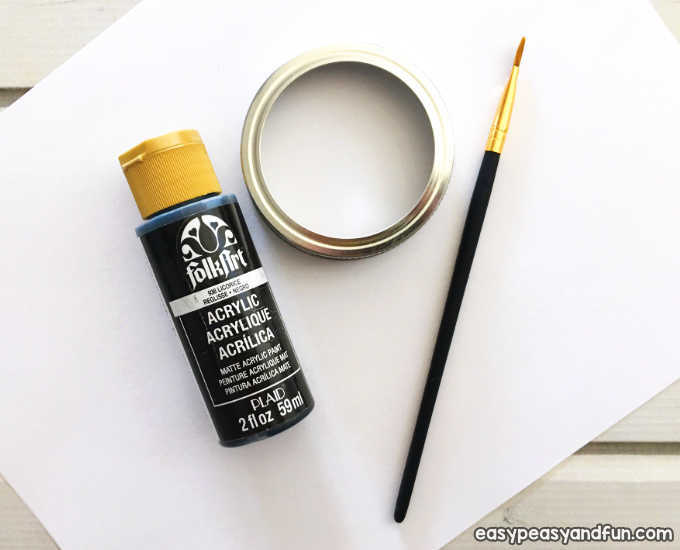 Paint over your mouth and stitches with a small paint brush using black paint and let your jar dry.